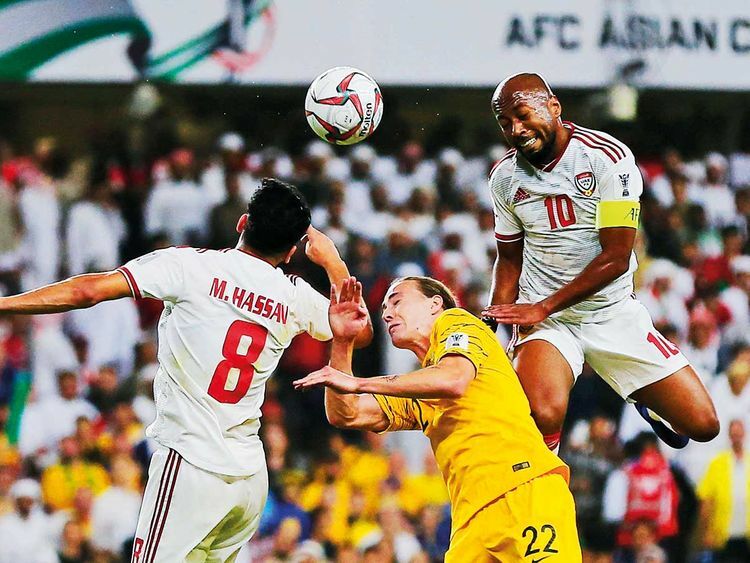 Abu Dhabi: UAE’s veteran player Esmail Mattar is not willing to term their semi-final outing against Qatar as politically sensitive and wants to keep it to the field and nothing else. “I think we will not go so far and we will keep it in the field. We will play against Qatar as we play against any team. We don’t have to take it any further than that,” said Mattar after his side knocked out defending champions Australia, courtesy of a solitary goal by Ali Mabkhout, to produce one of the biggest upsets in the Asian Cup. Mattar went on to reveal that his side were better prepared than last time when they lost in the semis against Australia in the last edition of the tournament. “We had more understanding [of] how they were playing. We knew they are very strong in aerial [play]. The coach did a great job today and we found out [a] good solution. Their efforts were more than the last outing,” said Mattar, who urged his team to keep the focus going and take this as an opportunity of a lifetime, having come this far. “To be honest, for me and for the team, it is like we are looking to bring something we haven’t won before. Our fans and our rulers are proud of us. Some players play [their] whole career and they don’t have one tournament like this to play at home,” he said. “We are lucky and we have the chance and we have to make the most of it. We need to be prepared to take the chance. We have to take this chance as maybe after 30 to 40 years we get another chance again and my son will be playing, I don’t know,” laughed Mattar, who also played a key role in seeing the UAE to the Gulf Cup title in 2007. The striker, however, brushed aside that there were any similarities between the team then and now.